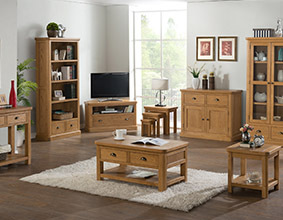 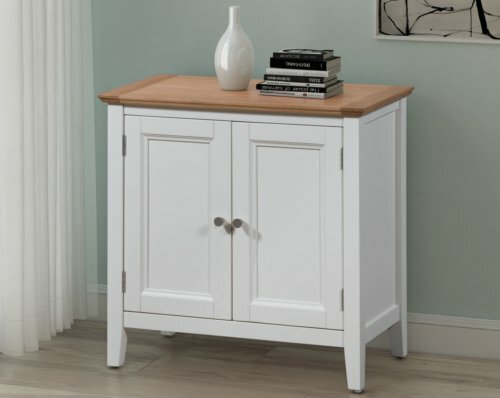 The Venice Oak Collection is a stylish and contemporary range of quality light oak furniture. 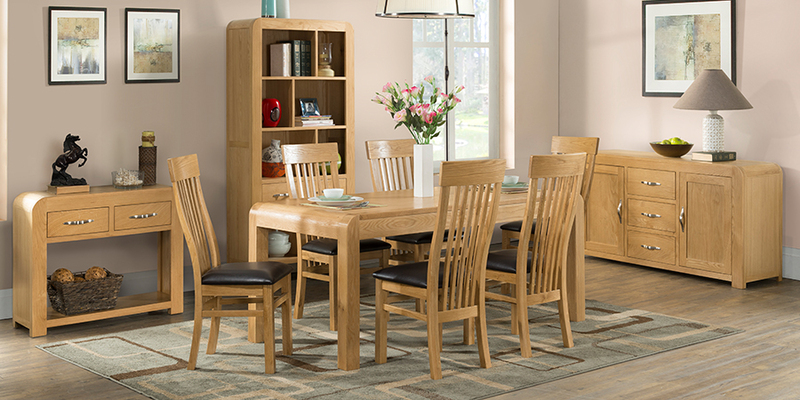 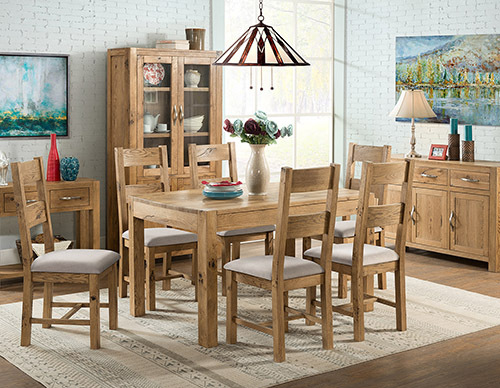 Crafted from North American White Oak, the collection has clear appeal with its distinctive curved edges and quirky styling. 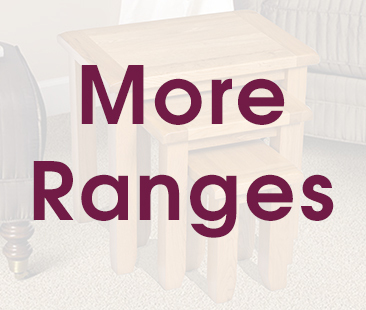 Pieces from the range have a look of the unusual about them and will be eye-catching in any living or dining space. 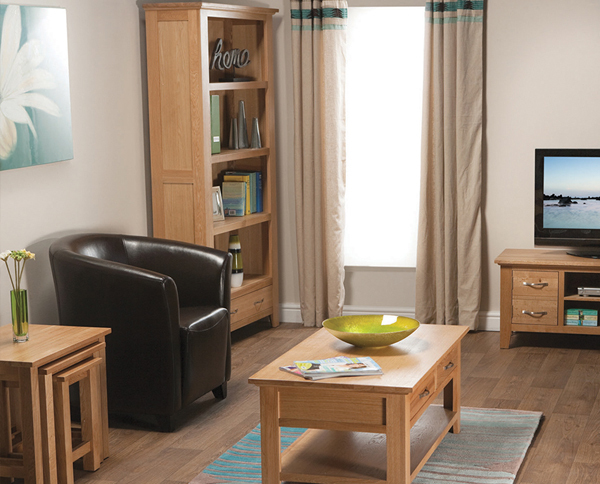 The Venice Range is functional but has style in abundance. 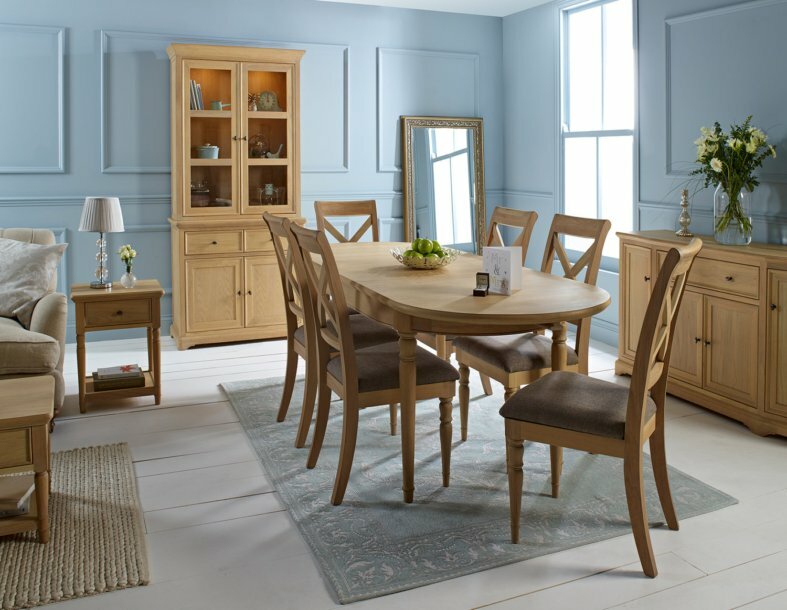 The curved edging is the obvious key feature but there is plenty more to appeal with these attractive pieces. 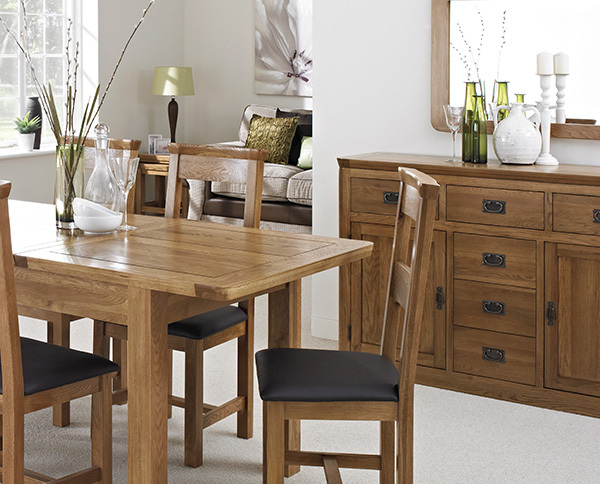 Modern metal handles adorn the front of the pieces, complementing the light oak to superb effect. 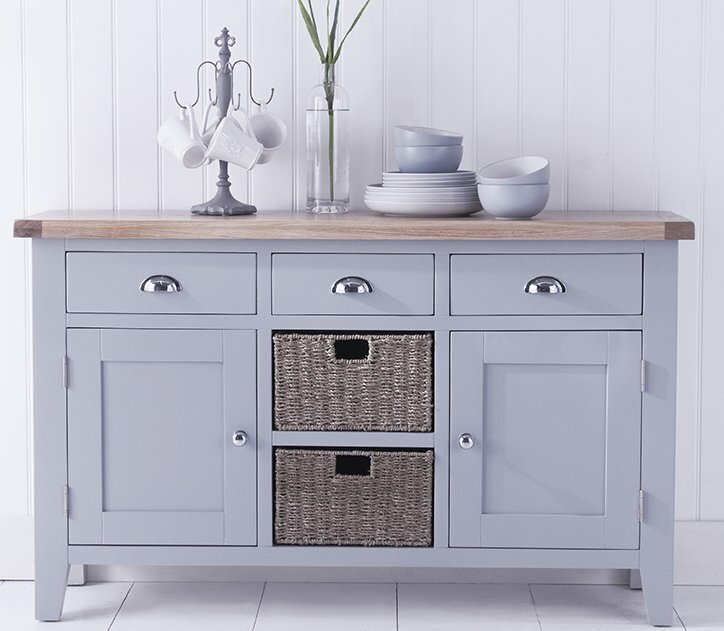 Beautiful detailing is evident throughout. 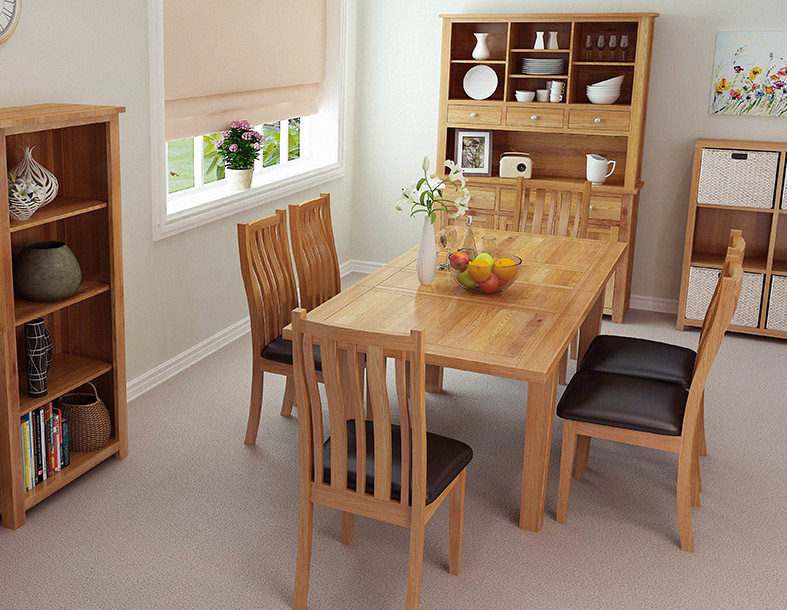 With dovetailed drawers and a light protective lacquer finish, all pieces from The Venice Range are built to last. 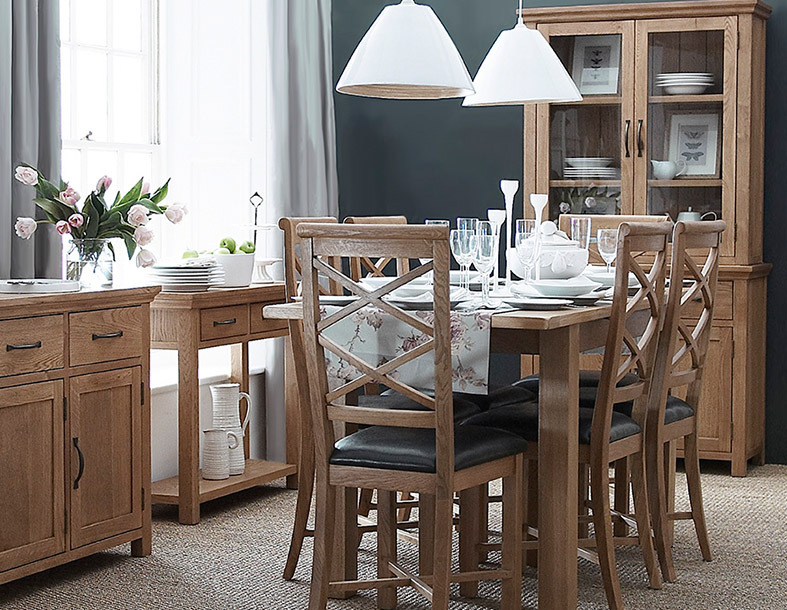 The collection includes a stunning extension dining table with an extensive range of dining chairs available. 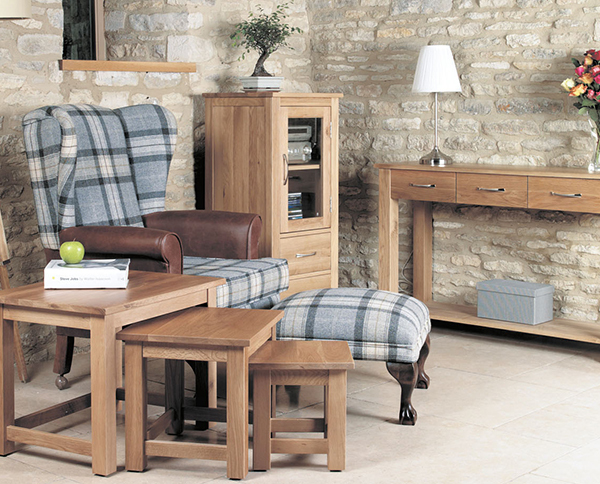 Traditional pieces such as sideboards, coffee tables and bookcases all feature, all with a modern twist.